Features and specifications are subject to change depending on market requirements. Please consult your local dealer. YOKOHAMA, Japan – Nissan Motor Co., Ltd. today announced the launch of the 2012 model year Nissan GT-R, which goes on sale in Japan on November 24 at Nissan dealers nationwide. The Nissan GT-R is an icon of Nissan’s pioneer spirit; it invented the concept of the "multi-performance super car" and made high-performance vehicles accessible to anyone, anytime, anywhere. Today, the Nissan GT-R continues to evolve; this latest version has improved features in terms of performance, efficiency and refinement to provide further excitement to drivers and passengers. The 2012 model year GT-R has improved maximum engine output and fuel efficiency (thereby reducing CO2 emissions) by enhancing the car’s engine efficiency. The 2012 MY model comes equipped with asymmetric suspension, multi-performance speed, and highly responsive driving performance which provide a stable, high-quality driving experience for passengers. Additionally, the custom option, ”For TRACK PACK”, inherits the driving DNA of the Spec V model to provide an alternative, more Spartan driving option for potential customers. 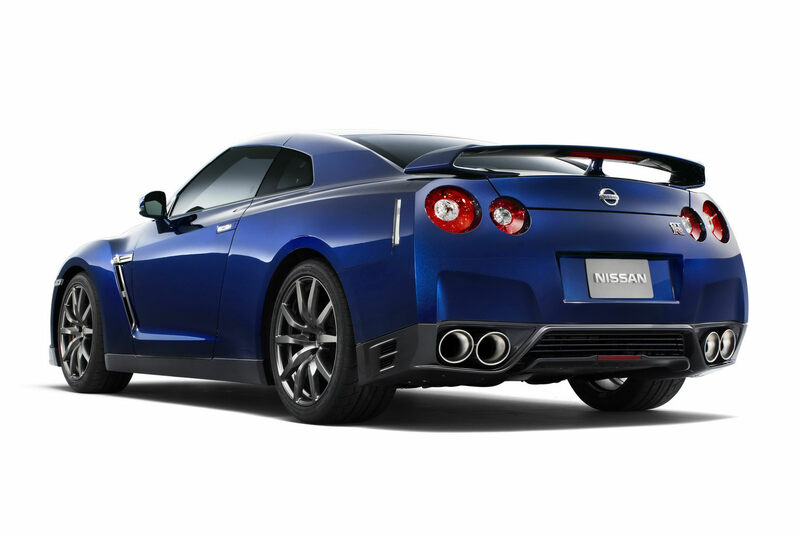 The 2012 model year Nissan GT-R will be released in North America, Europe and other regions from January 2012 onward. - Improved exhaust emissions efficiency and enhanced control - Air flow resistance has been reduced through a more compact underfloor catalyzer which improves emissions efficiency and reduces weight. For improved exhaust valve cooling performance, a newly-designed metallic sodium-filled valve has been adopted. Valve control timing, the air mixture ratio and ignition timing have been improved as well. - Shift feel and quietness have been refined through a strengthened design of the shift fork arm and a firmer fixing bearing for the flywheel housing. - A high-performance differential oil R35 COMPETITION type 2189E (75W140), which has been used in motorsports, is now provided as a standard feature for every grade. - By reinforcing areas mainly around the rear part of the engine compartment and dash panel, together with increased engine output, more responsive handling and a greater sense of the vehicle’s grip on the road are transmitted to the driver. - More precise production methods, accompanied by advancements made in the vehicle body, have improved the inter-vehicle detection capability. This was achieved by changes in the positioning of the sensor and more rigid, highly-damped vehicle body, and by adding a more accurate acceleration sensor in areas with higher sensitivity in the vibration testing of each vehicle body. 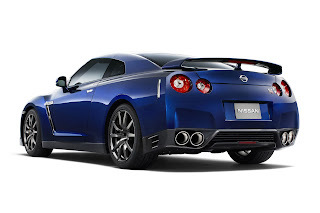 - Considering the added weight of the driver on the right side in a right-hand drive vehicle and that the propeller shaft for front wheels is located on the right side of the vehicle, the GT-R’s suspension has been set asymmetrically for the left and right sides. For the front suspension, a harder spring rate on the left side has been set. For the rear, the suspension arm has been installed upward on the left side and downward on the right for an imbalanced wheel load when the car is stationary, but is equalized during driving, providing improved responsiveness and smoothness which the driver feels when steering, as well as enhanced cornering stability and riding comfort. - The quality feel of the meters placed in front of the driver have been enhanced for a more sophisticated atmosphere in the cockpit by adding blue lighting inside the tachometer ring to match the shift position indicator light. - The Bose® sound system woofers have been changed to Bose® Precision Sound System woofers that were developed for the EGOIST grade to further enhance sound quality. “For TRACK PACK“ is a custom option for the Pure Edition designed for customers who want to enjoy a more Spartan-feel driving experience in their Nissan GT-R. Jointly developed with NordRing company in Japan, it features the suspension, air guide for brake cooling (front and rear), and aluminum-alloy wheels made by Rays (with black quartz chrome color coating). The front spoiler with carbon air duct has been exclusively made for this edition and is installed as a set. For reducing the car’s weight, this edition is made in a two-seat configuration (without rear seats, with quilted fabric mats). Also adopted are combination seats made with genuine leather and high-grip fabric, newly developed for the “For TRACK PACK” option, which firmly holds the driver through the grip of the seat cloth.